While your primary call is to serve God, not man, you are empowered, enabled, and entrusted as his subordinate shepherd to serve your group. You serve God by serving others. Quite simply, you lead your group to “serve one another in love” (Galatians 5:13). 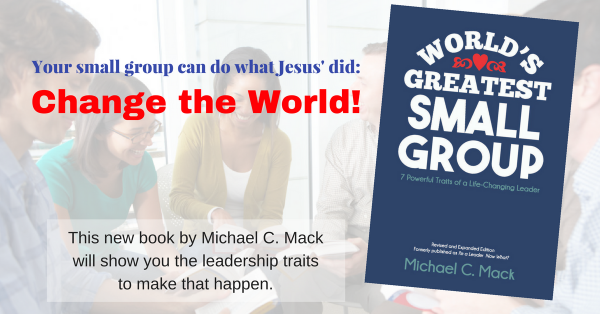 Serve your group eagerly and enthusiastically. That takes GUTS! Genuinely: “Love each other with genuine affection, and take delight in honoring each other.” (Romans 12:10, NLT). Unconditionally: God’s love for us doesn’t depend on what we do. It’s unconditional. In biblical community we accept and love one another “as is” no matter what. They don’t have to earn it. Tangibly: In deed, not just words. “Let us think of ways to motivate one another to acts of love and good works” (Hebrews 10:24, NLT). Sacrificially: Jesus said, “There is no greater love than to lay down one’s life for one’s friends” (John 15:13, NLT). How can you serve your group members “tangibly” (as well as genuinely, unconditionally, and sacrificially)? Here are a few ideas. Ask them individually how you can pray for them—and then lift up their needs daily to God. Follow up by asking how things are going.